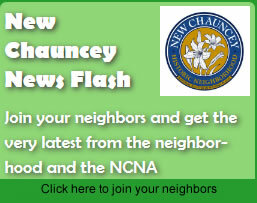 The New Chauncey Neighborhood (NCN) has many city resources just like each neighborhood in West Lafayette. We have listed some of the more important links here for your convenience. Please take advantage of these resources as they are provided for your benefit. If you find other resources helpful, please let us know so we can update this page. non-emergencies call the dispatcher at 765-775-5200. The City of West Lafayette website has many useful articles and tips which are updated frequently. Contact the Neighborhood Resource Team: 765-775-5200. The New Chauncey Neighborhood contact for the West Lafayette Police Department is Lt. Gary Sparger. You can contact him by calling the Police dispatch 765.775.5200 during the day, but email is best. If you have and questions, concerns, or suggestions regarding police enforcement in our neighborhood, please feel free to contact him.